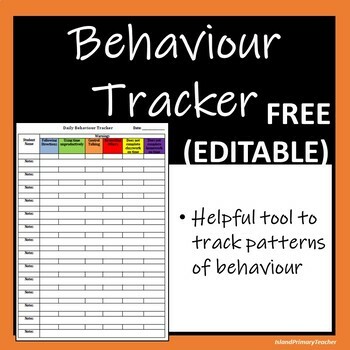 Daily behaviour tracker used to show patterns of behaviour. FULLY EDITABLE as you may wish to change the categories in relation to your own class. 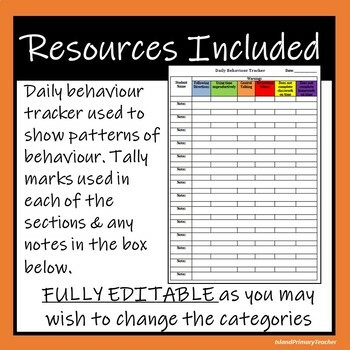 Suggestion for use: Write tally marks in each of the sections every time the behaviour is displayed along with any notes in the box below.